Kelly Perdew-winner of The Apprentice 2-has it what it takes to lead. His secret weapon: the principles he learned at West Point, as a U.S. Army Intelligence Officer, and as an Airborne Ranger-principles that he's applied to business with the same firepower determination that makes our military the best on the battlefield. 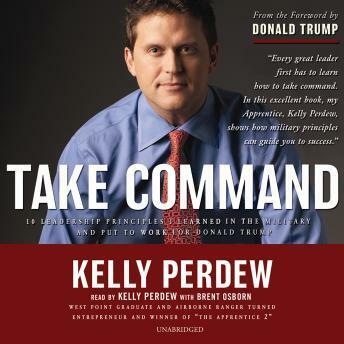 In Take Command, he shows how business luminaries with military training, such as Donald Trump, Ross Perot, Marty Evans, Bill Coleman, and Roger Staubach, have achieved their success.